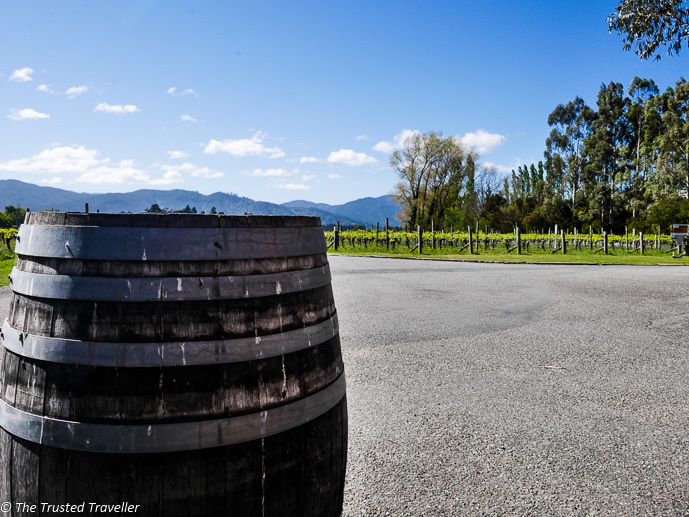 When we made the decision to take a road trip around New Zealand’s South Island, top of my list of things to do was to take a tour of the Marlborough Wine Region. You see, I’m a big Sauvignon Blanc drinker, so with Marlborough being one of the best places in the world to grow the sauvignon grape variety, I just couldn’t miss the chance to try a sip or two from the source. On our drive from Christchurch to Marlborough we’d driven through the wine region to get to our accommodation in Picton. The flat plains where most of the wineries are located kind of come out of nowhere. One minute you winding through hills and farmland with the odd vineyard on a hillside, the next it is vines as far as the eye can see, completely surrounded by towering mountain ranges. Because we had our own car we could have taken ourselves from vineyard to vineyard but that would have spoilt some of the fun for Mick, the designated driver. Instead we decided to book a tour. I did a lot of research before our trip on the type of tour I wanted to do. It had to be a small group (max. 10-12 people), full day including a gourmet lunch at one of the vineyards and visits to off the beaten path vineyards, you know, the type that are harder to find in the bottle shops back home. One tour company, Bubbly Grape Wine Tours, stood out above the rest for us and the reviews on Trip Advisor and their website showed that they met all of our criteria. Plus they are competitively priced. The tour began with a pick up from our accommodation in Picton around 9am by the lovely Karen in a mini-van. There were just four of us on the morning portion of the tour with three more to join us after lunch. Our companions were a couple around our age travelling from the UK. We enjoyed chatting to them throughout the tour and discovered we had a lot in common so it made for a very pleasant trip. On the 20-30 minute drive from Picton to Blenheim Karen asked us what our taste preferences were and if we had any vineyards in mind to visit. All four of us agreed we wanted to visit off the beaten path vineyards with both the men on the tour favouring the reds and us girls favouring whites. Taking all of this into consideration, Karen set the course for the day. The plan was to visit 5 wineries in total with two in the morning, one for lunch and another two after lunch. While the four of us were at lunch, Karen would be picking up the other three people joining the tour for the afternoon. Sounded perfect to us! By 10am we tasted our first of many wines for the day with a lesson in wine tasting from the friendly cellar door attendant in Drylands Estate. We chatted and asked questions about the wine making process and walked out feeling more prepared for the rest of the day. Onto winery number two, Nautilus Estate, set just off of the road in a lovely cottage surrounded by relaxed hedges and tall billowy trees. They were expecting us with a table set in the tasting area for our little group to try their selection. Nautilus is a family run business with multiple vineyards in the area. They specialise in wines that are paired well with food and have complexity of fruity flavours. We tried around a half a dozen of their wines and loved their Pinot Noir so much we grabbed a bottle to go. Lunch was booked in at Allan Scott Family Winemakers. 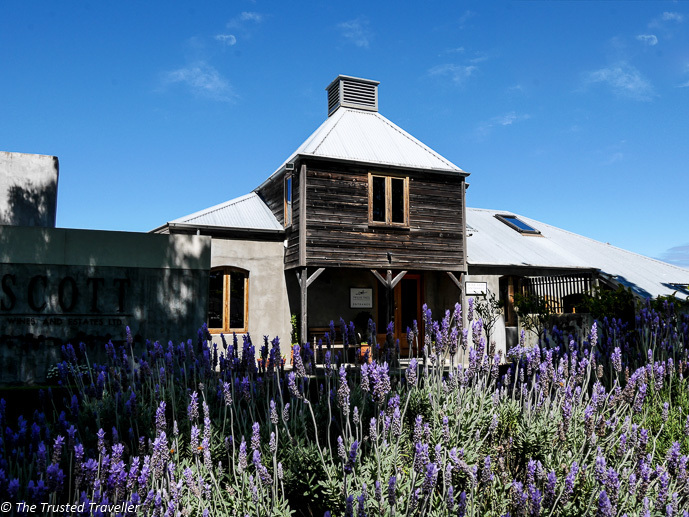 The cellar door and restaurant are housed in a lovely country style house complete with lavender hedges lining the entry path. Before lunch we had a tasting at the cellar door, allowing us to choose which wine we wanted to accompany our meal. We’re told by the lady behind the counter that Allan Scott created the business and vineyard from the ground up and that he, his wife and children all have their own parts to play in the business. As it was a beautiful day we were seated in the restaurant courtyard which is partially covered by flowering vines and dappled in sun. Our three course included lunch was pretty close to perfect with the food beautiful presented and tasting delicious, especially paired with the Allan Scott Sauvignon Blanc that I had chosen. Bursting at the seams, it was time to jump back in the van and meet our further three companions for the afternoon, three early twenties girls backpacking around New Zealand. The girls had made a request to visit Cloudy Bay, one of the region’s biggest wineries, so that’s where we headed first. I’ve tried Cloudy Bay back home and unfortunately it gives me allergies. I’m not sure what it is but I thought that this was a good chance to ask them why. The lady at the cellar door was new and could only really tell me that they don’t do anything different to other wineries I had tried and not gotten allegoric reactions from. Despite this I decided to take a chance and try a few of their wines (armed with my anti-histamine medication). I have to say I was a little disappointed with both the wine and the service at Cloudy Bay and it cemented my original desire to try and visit only the smaller more boutique wineries. This was the one and only downside to the day and the tour for us. It was time for the final winery of the day and by this point I was starting to get a little tipsy. Karen was quite excited to be taking us to this final vineyard, Fromm, an organic winery that is known well by locals to have intense red varieties. We had a blast in Fromm with the cellar door attendant keen to get us trying everything they had on offer. While I found the white varieties just ok, Mick still to this day is raving about their reds and has gone out on a limb stating that the Syrah variety they make is the best red he’s ever tasted. Sad that our tour was just about over, we boarded the van for the last time for the drive back to Picton and our accommodation. It was a quiet ride with most of us having a nap to sleep off the wine. The Marlborough Wine Region is located in the north of the South Island of New Zealand. By car its a four hour drive from Christchurch. There are also trains and buses that can get you there from Christchurch and the Interislander Ferry from the North Island city of Wellington which docks in Picton. The main towns close by are Blenheim and Picton. We choose to stay in the sleepy town of Picton as it allowed us to explore both the wine region and the Marlborough Sound with ease. Check out my Where to Stay page for my recommendation. 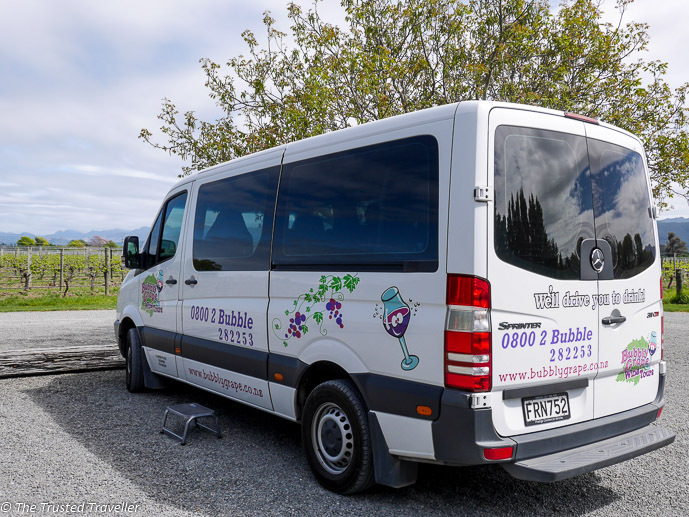 Bubbly Grape Wine Tours offer small group half and full day wine tours of the Marlborough Wine Region with pick-ups available from both the Blenheim and Picton accommodation. Prices start from just $NZ55.00 per person. 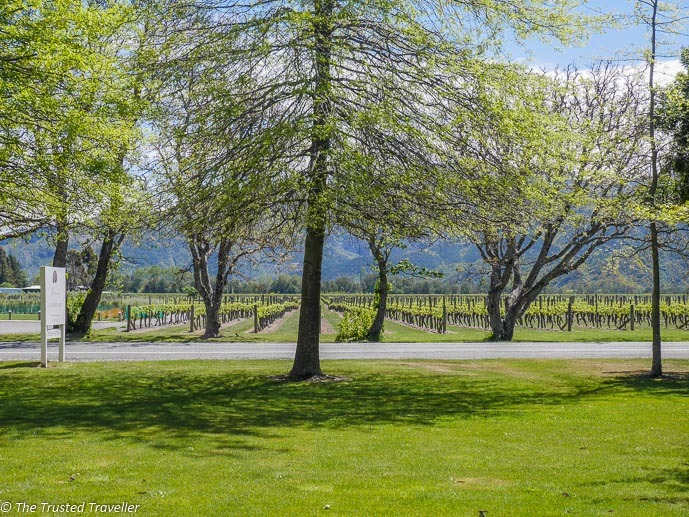 Have you been on a tour of the Marlborough wine region or any other wine region around the world? I’d love the hear about your experiences. Well done for getting across to NZ and trying our beautiful wines! 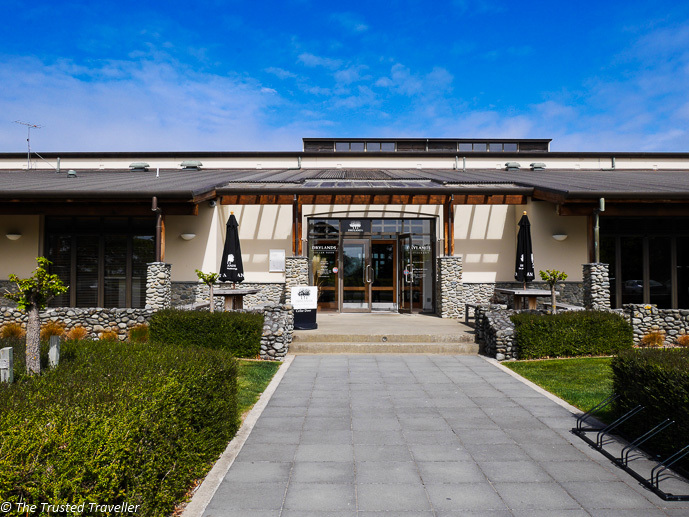 I love the Marlborough region too and agree with your finding that boutique wineries are often the place to go for better service /experiences! Are you planning to head to other wine regions here too? Hawkes Bay is fantastic (although Im slightly biased as this is where me and my wife live!). Putting together a few local travel tips for NZ which you may choose to have a quick glance over if you have a spare mo between wines! Thanks for stopping by and for your lovely comments. I’ve visited Central Otago which I turned out to enjoy much more than Marlborough. I haven’t made it to Hawkes Bay or any of the other amazing wine regions of the North Island but I definitely plan to in the future. I just love NZ! 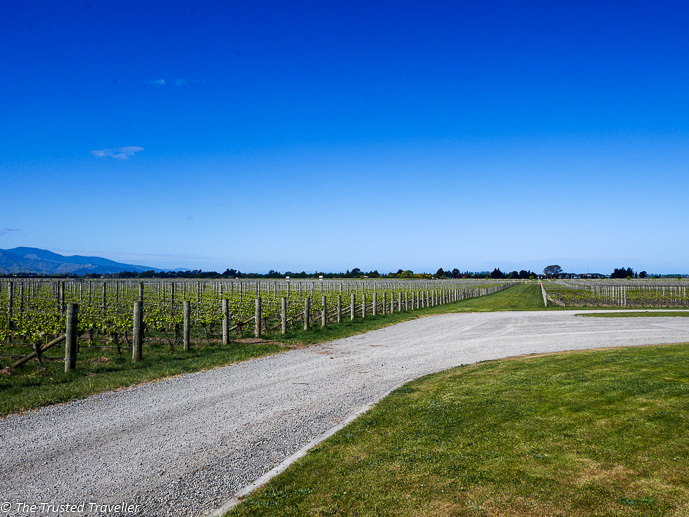 NZ has some of the best wine tours! The wine is not only great but it’s fun just to walk around the winery’s. Absolutely! There isn’t much that I love more than spending a day visiting wineries. It is such a leisurely and luxurious thing to do. New Zealand truly has it all … I wanna go there ASAP! Totally agree! Hope you do get there soon Caroline! Well, you do learn about wine everyday! I’ve seen a few NZ wines before on the shelves in shops but I had no idea that there was such a wine culture in the country! A wine tour is really something I’d love to do and New Zealand is pretty high on my list of places to visit so that would be a great thing to couple! Thanks for the recommendation and the tour company, I’ll make sure to check them out once we make it to New Zealand! Thanks Marie-Carmen. Hope you get to NZ soon! Great pictures you have here. I went on a wine tour in Australia and I enjoyed it. Now, it seems like I’ll be appreciate the same in New Zealand. What a great review! Im heading back to New Zealand next year and I hope Ill have a chance to go to the South Island and explore more cities than just Queenstown. You take beautiful photos and it looks like a wonderful day. And I agree with you on smaller-more boutique places. It is the same with hotels, restaurants and other places. The service is usually a lot better. Thanks Danka! Boutique is the way to go if you want the best service for sure. This sounds right up my street! I do love a good glass of New Zealand wine. Looks like I need to get over to NZ! Hope you get there soon Sophie. I’d love to drive from Christchurch to Marlborough even without a wine tour, but I certainly wouldn’t mind adding Cloudy Bay. Sounds like such a stunning region. Wow, there is nothing better than sipping organic wine and looking at scenery like this! I am definitely adding this to my list of places to take my husband. Your photographs are incredible and I can imagine being there right now! Thanks Mia! Hope you enjoy it as much as we did. This is one thing I did not do when I was in New Zealand! I’m planning to go back in December 2016, so I’ll definitely use this post for reference when planning some wine tours! Bummer about Cloudy Bay though! Their Sauvignon Blanc is my favorite! Hope you enjoy it as much as we did Kelsey. I agree with you, much rather go to the smaller wineries, though I’ve been to some of the biggies in Napa and they were fun. You’ve much more courage than I though,,, I can’t do more than 2 a day! It was definitely a bit of a whirlwind day but gave us a good taste of what is out there in the region. If I ever get the chance to go back I’d like to pick one winery and just spend the day there. Winery tours are always so much fun! And, it’s even better when you enjoy the group you are with, too, so that’s nice you had a lot in common with everyone! I like how your driver asked your preferences rather than just having a set list of spots to check out. That customization would make the day so much better. Sounds like a wonderful tour! 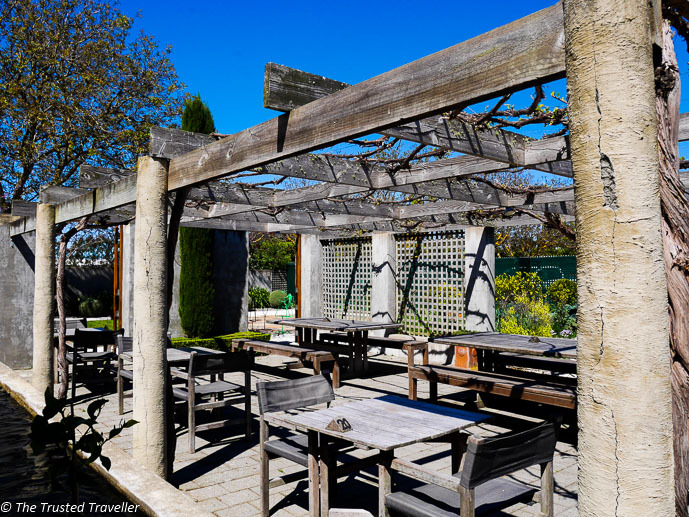 The Marlborough Wine Region sounds fantastic! We’ve just relocated to Australia, so we’re hoping for some serious time to spend in New Zealand now that we’re so close in proximity. Thinking you’re onto something with the tour – not having to fight over who would be the designated driver sounds like a brilliant idea :D! Thanks Meg! I highly recommend Marlborough if you love wine. And yes a tour is the way to go if both of you want to have a sip or two along the way. Besides the wine the views look amazing! 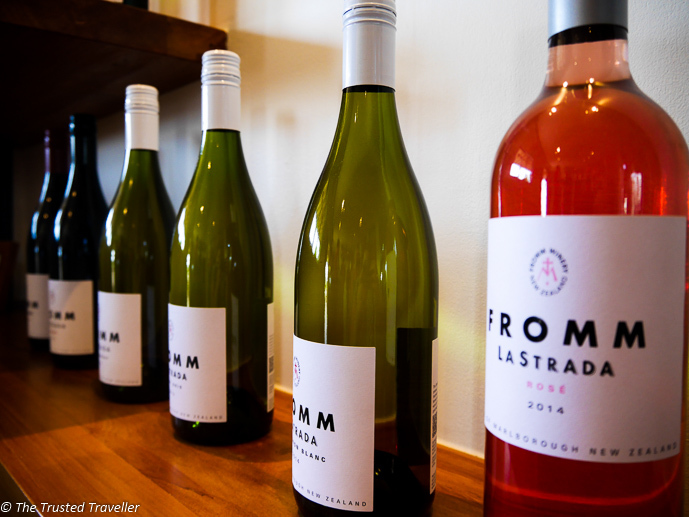 we have yet to visit NZ but hope to in 2016. with a 4 and a 2 year old in tow i doubt we will be able to take advantage of full day tours like this but i might just pick up a bottle of Fromm if i can come across it in Canada. we love a good red in the fall! 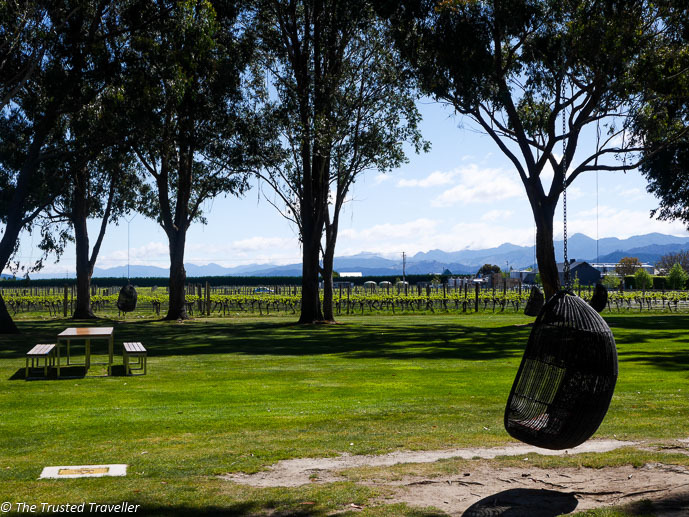 A few of the wineries we visited had plenty of space for the kids to run about (Cloudy Bay being one from memory) so you might be in luck if you pick the right ones to visit. Thanks, you trip sounds wonderful Joy! The South Island is truly incredible and I hope enjoy it as much as we did. If you like white wines, check out Wither Hills and for reds check out Fromm.